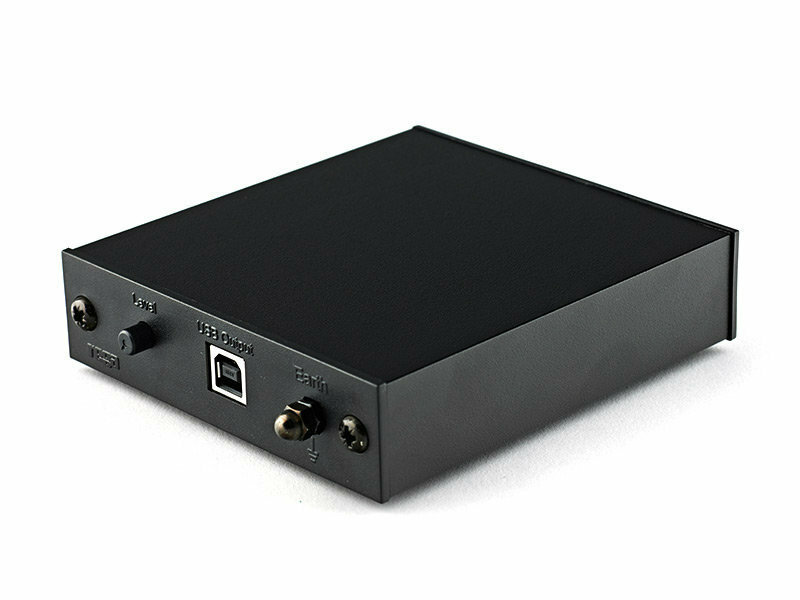 The new Fono Mini A2D benefits from an extruded aluminium case and very user friendly front and back panels that make this phono pre-amplifier a very easy product to use. The Fono Mini A2D amplifier offers exceptional performance and incredible value for money and promises to be a valuable addition to any hi-fi set up. To transfer vinyl to your PC, you will need to install a digital audio editor. Such software is widely available as a free download (such as Audacity), from the internet. This is a simple interface which allows monitoring of volume and balance whilst transferring your audio to your PC hard drive. Audio editing software includes a level meter which indicates the output level achieved when playing a piece of vinyl. You should adjust the output as necessary via the ‘Level’ control located on the front panel. Always take special note of record levels to ensure optimum recording quality.